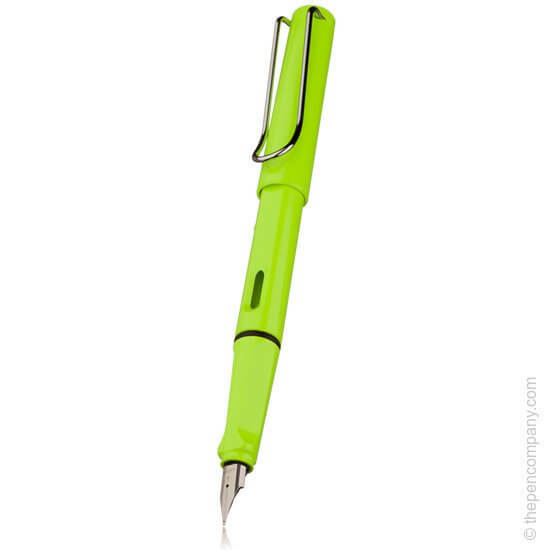 Home ♦ Competitions ♦ Win A Lamy Safari Fountain Pen of Your Choice! Win A Lamy Safari Fountain Pen of Your Choice! Please note: this competition has now ended. Thank you to everyone who entered. The kids are back at school armed with their new pens, pencils, and pencil cases, so we thought it was time for the Mums and Dads to get their hands on some new stationery too! After all, we all love new stationery don’t we? Fountain pens, in particular, seem to be a favourite with stationery-lovers of all ages. Introducing: our new competition – your chance to win one of three Lamy Safari fountain pens. You can even choose the colour and nib width, and we’ll send you some ink too to get you started. You can take a look at the full range here. You can go as bold or as classic as you like with Lamy’s colour options, and the ever-popular range is great quality, which makes for a fun and reliable writing experience. If you fancy winning one of our Lamy fountain pens, just complete one (or more) of the tasks in the Rafflecopter widget below – it’s as simple as that. You don’t have to be a Mum or Dad to enter! Win ANY 2017 Paperblanks diary!